Juicy apples, spicy cinnamon and crunchy oats. 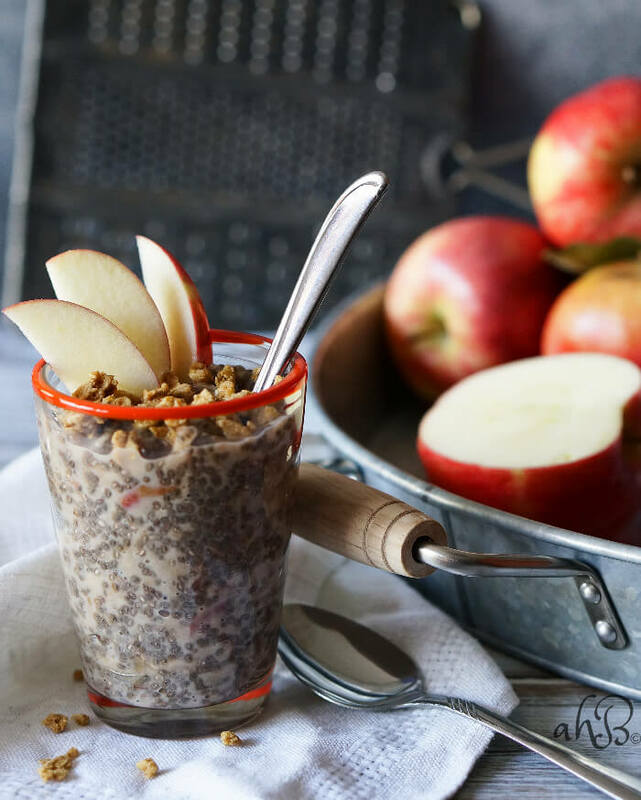 This apple crisp chia has everything you love about apple crisp, but in a totally guilty-free and healthy breakfast form. 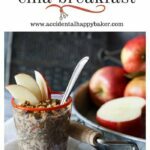 The other day, my big boss lady asked me if I had any more chia recipes, because she really loved my chunky monkey breakfast chia, but was looking for something different. She likes the chia stuff because it’s easy to make the night before and makes a good post workout breakfast, plus it’s flipping yummy. 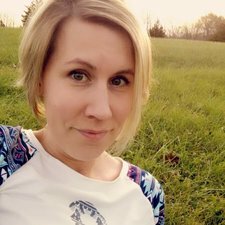 I told her to try the simple chocolate chia, but she couldn’t find the sweet ground cocoa it calls for (I’ve had more than one person tell me this. I buy it at Wal-Mart btw). So I told her I had apple chia on my blog brainstorming list and I’d work on making an apple chia recipe soon. Fast forward two weeks. I still hadn’t done the apple chia for the blog and I run into my boss at the grocery store. “Buy apples!” she tells me as she walks past with her cart. I did buy apples and I’m so glad that she reminded me because this apple crisp chia turned out awesome. With just a tiny bit of honey, apples, and dates, this chia is pretty much guilt-free, but it tastes like a sweet indulgence. I used Gala apples because they are my favorite, but any firm-fleshed, sweet eating apple will work. Top it with simple honey roasted granola and dig right in! 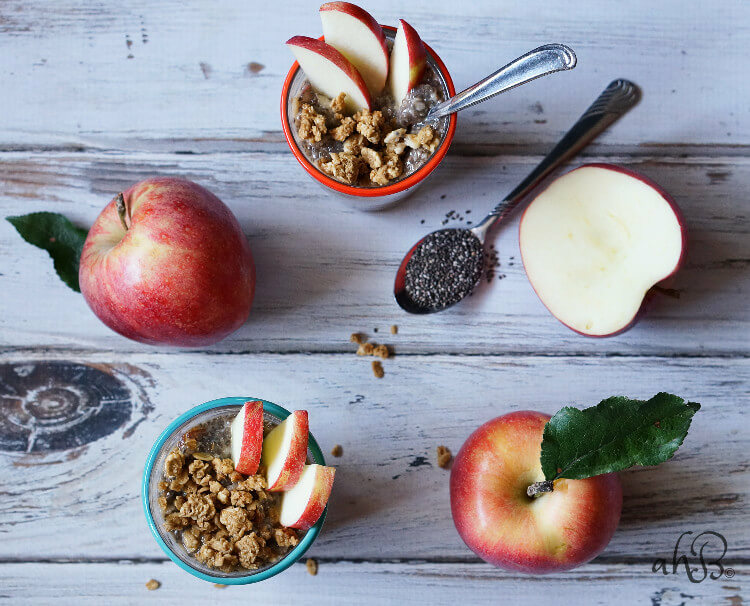 This apple crisp chia has everything you love about apple crisp, but in a totally guilty-free and healthy breakfast form. 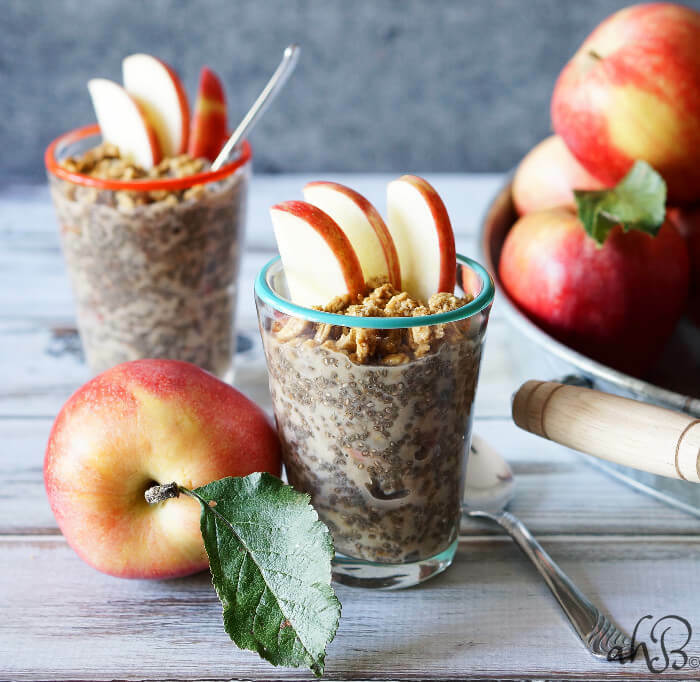 In a small bowl or mason jar, add the shredded apple, honey, cinnamon, chia seeds and dates. Pour in milk and mix well again. Cover and let sit at least 4 hours, preferably overnight. Top each serving with a Tablespoon of granola before serving. This sounds like a delicious + cozy winter breakfast! Yes, it is Macy! My daughter and I enjoyed some just this week. Hope you’ll enjoy it too.